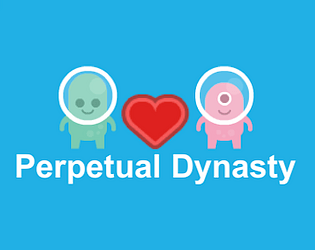 Will you be able to find the right partner and continue the dynasty? 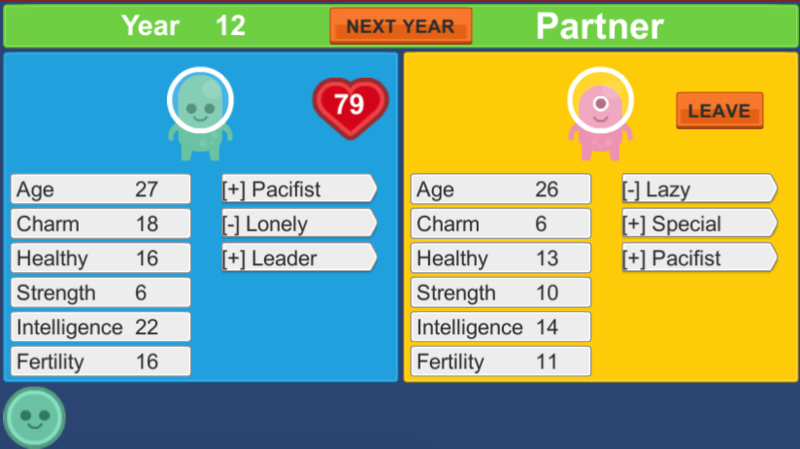 The goal of this game is: "Find a good partner to prosper your dynasty!". Be careful, your children will inherit part of your traits and your partner traits. I used the amazing and free assets from Kenney. The idea is really nice. Would be nice to have a least a little bit of control on the traits instead of full random game. Good idea but I wish I could choose which child to carry on with.